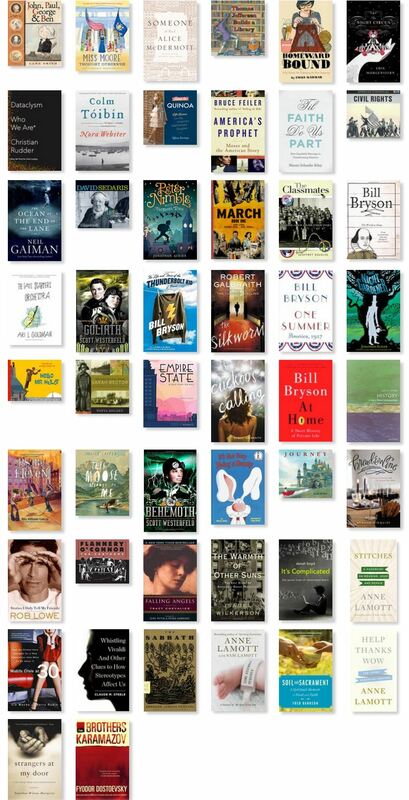 I took 2013 off from the 50 Hikes, 50 Books challenge I’d set for myself in 2012. The result? I read far fewer books and did fewer hikes (didn’t even bother to track them). That’s ok. 2013 was still a very full year in a lot of ways, but as the calendar flipped over I found myself missing the challenge. So for 2014, I’m back at it. Same “rules” as the first time around. I’ll use this page to record my books and hikes.